Reuters.The Obama administration is expected to come down with a decision on the disputed $3.7 billion Dakota Access oil pipeline as soon as Monday, according to government officials. U.S. Army Corps of Engineers spokeswoman Amy Gaskill confirmed Friday that the administration was preparing to issue its decision on a key easement that would allow the pipeline's developers to dig under Lake Oahe in North Dakota to complete the nearly 1,200-mile long oil pipeline, according to Reuters. The Standing Rock Sioux Tribe had been fighting the project in court, arguing that the pipeline project would harm one of its only sources of fresh drinking water. Two federal courts ruled that the Army Corps of Engineers had done everything by the book in reviewing the environmental impacts before issuing the permits for construction of the pipeline. Despite the court rulings, the Justice Department stepped in with the Department of Interior and Army Corps to halt the project while it said it conducts further reviews. 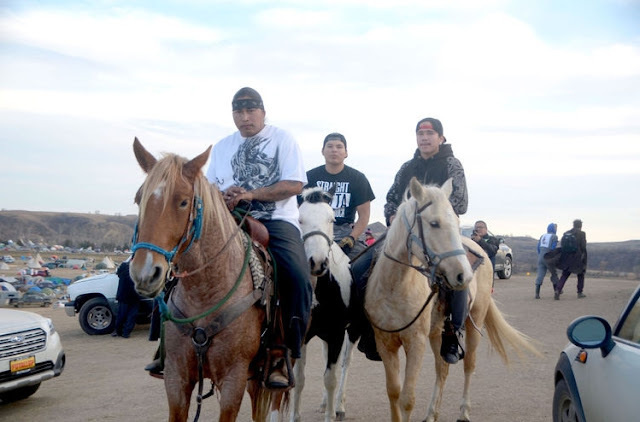 News of the administration making a decision soon came as protests in North Dakota intensified, resulting in dozens of arrests as activists attempted to block construction of the project in solidarity with the Sioux. The election of Donald Trump may have forced the Obama administration to choose to act sooner than later. A few days before the election, President Obama said a review would take weeks, if not months, to conclude. Obama said earlier this month that his administration was looking into options to reroute the pipeline away from the Standing Rock reservation. Responses to "The White House: Decision over Dakota Access coming soon"